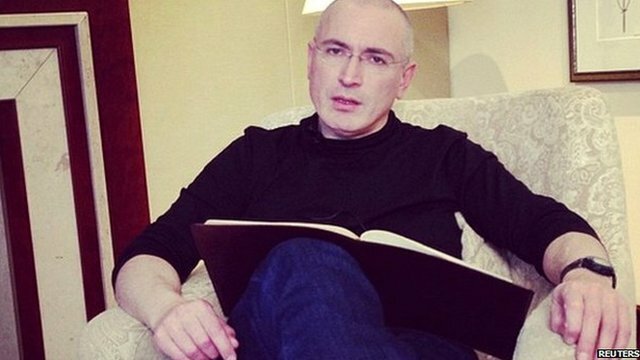 Khodorkovsky on anger towards Putin Jump to media player Mikhail Khodorkovsky has reacted philosophically when asked about his personal feelings towards Russian President Vladimir Putin. 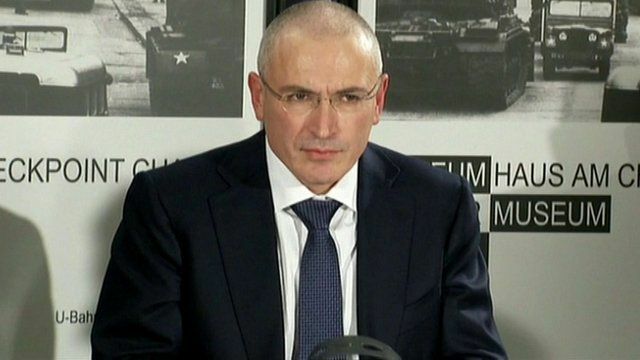 'I don't want to be seen as a symbol' Jump to media player Former Russian oil tycoon Mikhail Khodorkovsky vows to help other political prisoners. 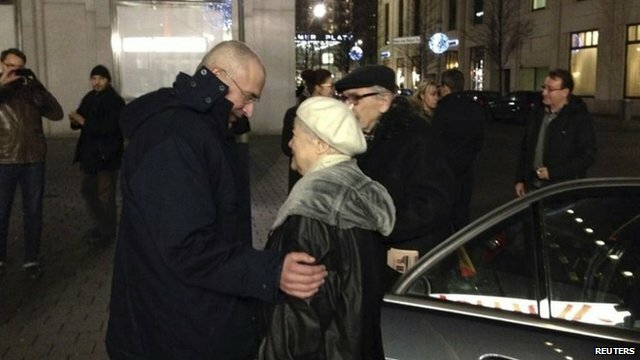 Freed Khodorkovsky arrives in Germany Jump to media player One of Russia's most famous political prisoners, Mikhail Khodorkovsky, has arrived in Germany, hours after being pardoned by President Vladimir Putin and freed from a decade in jail. 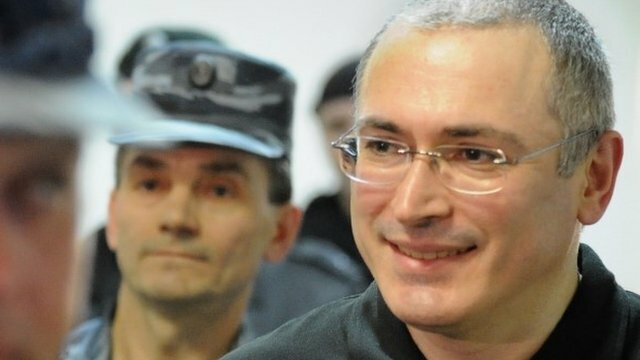 Motive for release questioned Jump to media player The former tycoon Mikhail Khodorkovsky has been freed from jail following a decree from President Putin pardoning his former political opponent. 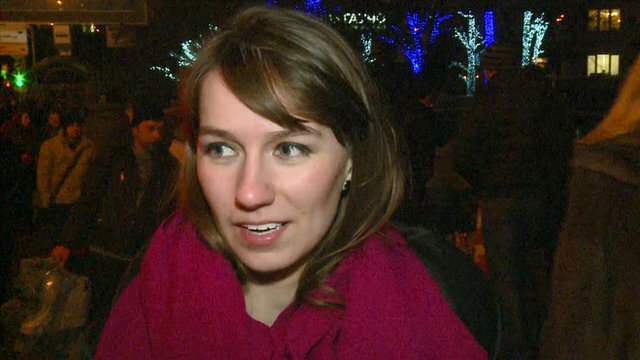 Muscovites on news of Khodorkovsky pardon Jump to media player People on the streets of Moscow react to the news that Mikhail Khodorkovsky is due to be released from jail following a pardon from Russian President Vladimir Putin. 'My family is reunited' Jump to media player Pavel Khodorkovsky, the son of released former oil tycoon Mikhail Khodorkovsky, has been reunited with his father. 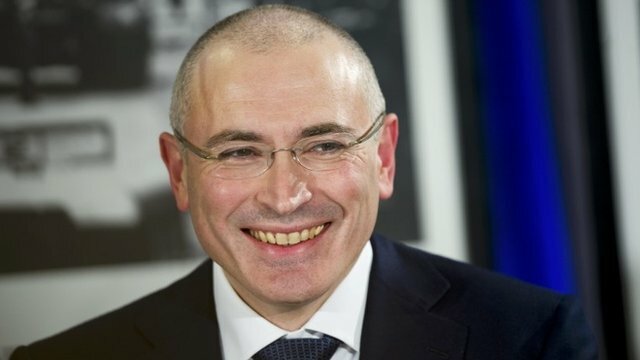 Putin 'to pardon Khodorkovsky' Jump to media player Russian President Vladimir Putin has said he will soon pardon jailed former oil tycoon Mikhail Khodorkovsky. 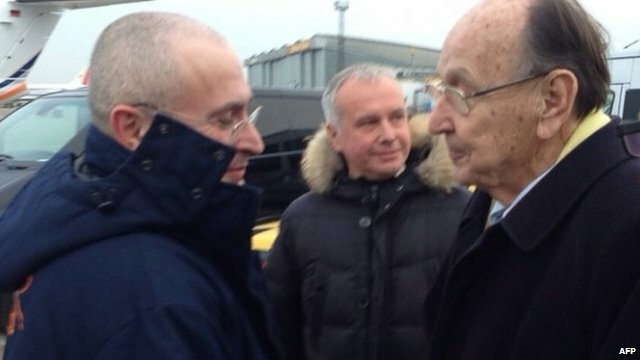 Khodorkovsky reunited with family Jump to media player Russian former oil tycoon Mikhail Khodorkovsky has been reunited with his parents and son after being freed from jail. 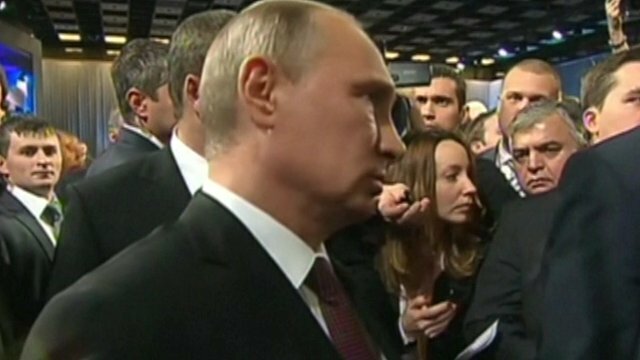 Mikhail Khodorkovsky has reacted philosophically when asked about his personal feelings towards Russian President Vladimir Putin. The former oil tycoon was released from prison on Friday after serving 10 years for fraud and tax evasion. "I didn't have to be out-of-proportion emotional about this because I realised that my family wasn't suffering, that they were humane about my family".